Nehru Place Site like this will surely improve your purchasing skills and will open more options for you that would consequence in allowing you to obtain the most suitable IT products in Nehru Place market. But it is always prudent to verify the entire imperative factors, features, configurations and of course cost before you may choose to buy any equipment from Nehru Place IT hub market. One should be alert and keep all factors in mind for buying a Personal Computer, Laptop, Printer or any other IT spare part from there. You should bargain even in Computer Repair Shops while getting your device repaired. 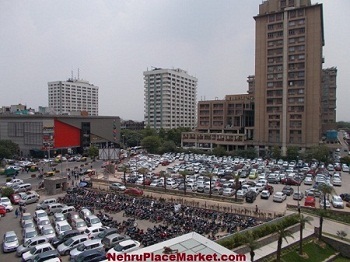 You should not procure any item from Nehru place market without inspecting the essential factors like the model, specifications, price and warranty, do not get trapped by the touts as it generally happens in such a big IT markets, So be careful after all you are having your hard earned money. Have a nice shopping experience in year 2018-2019..! 3. For more details on the disclaimer, please visit our full disclaimer page.